Golf Architecture in America: Its Strategy and Construction. Los Angeles: The Times-Mirror Press, 1927. 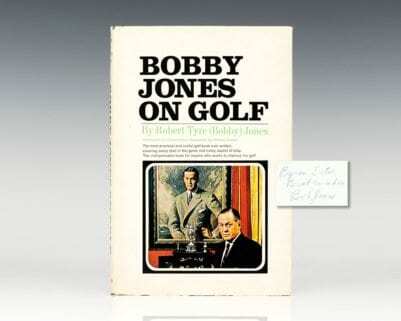 First edition of one of the most comprehensive books on the fundamentals of golf course construction written by one of the field’s leading architects. Octavo, original green cloth, pictorial endpapers, illustrated throughout. Lengthily inscribed by the author on the verso of half-title page. Near fine in the original dust jacket which shows chips to the spine, front and rear panels. Rare in the dust jacket and inscribed. One of the leading architects throughout the Golden Age of golf course construction in America, George C. Thomas, Jr. was responsible for the design of some of the most preeminent golf courses in southern California including links at Ojai, La Cumbre, Bel Air, and Riveria, among many others. 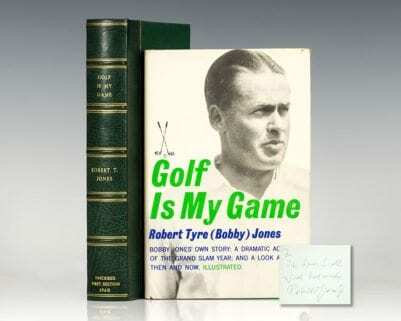 Written shortly after the completion of the Riviera course in Los Angeles which was ranked 31st in Golf Digest's 2010 "100 Greatest Golf Courses in America", Golf Architecture in America is as much a fundamental text for the beginning golfer as it is for the seasoned expert. Thomas, George C., Jr. (A.W. Tillinghast). 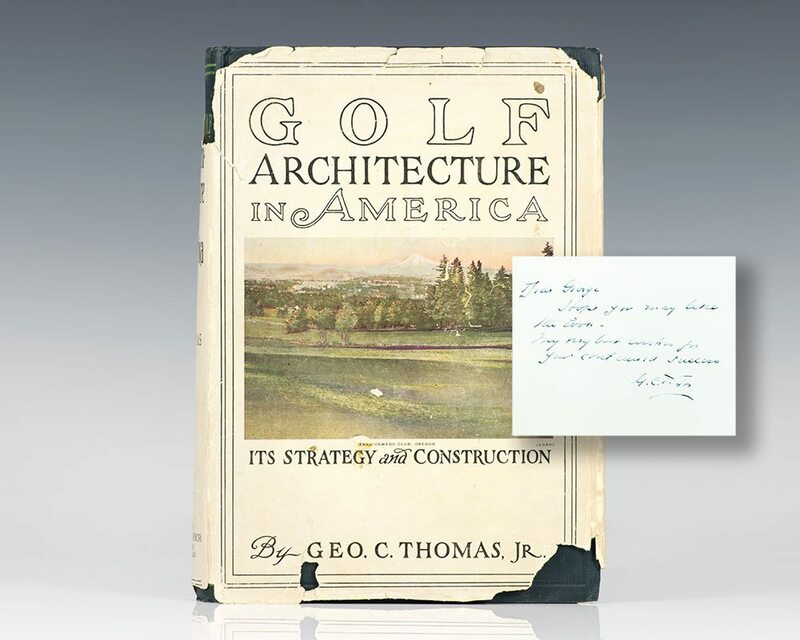 First edition of one of the most comprehensive books on the fundamentals of golf course construction written by one of the field’s leading architects. Octavo, original green cloth, pictorial endpapers, illustrated throughout. Association copy, lengthily inscribed by the author’s mentor A.W. Tillinghast on the second free endpaper, “To Theodore LeVino with the compliments of A.W. Tillinghast, April 13th 1941. George Thomas was one of my proteges, of whom I am proud. Too bad he had to pass on so soon.” A.W. Tillinghast was one of the most prolific architects in the history of golf; he worked on more than 265 different courses and was inducted into the World Golf Hall of Fame in 2015. Near fine in a very good unrestored dust jacket which shows chips to the spine and rear panels. Rare in the original dust jacket and with such a unique association.